Morpho, a part of the Safran Group, has received FBI certification for its MorphoTop Model 100R, a high speed livescan fingerprint scanner. The certification covers both tenprint rolled and identifcation flat print capture. 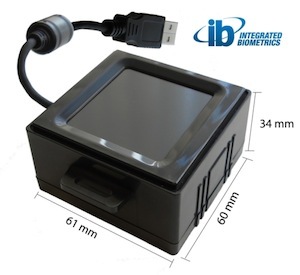 It also meets the Integrated Automated Fingerprint Identification System (IAFIS) Image Quality Standard (IQS) Appendix F specification. The MorphoTop scanner is used in many government projects around the world, including biometric passports and civil enrollments. It’s also a part of India’s Unique Identification project. The scanner can capture prints in less than two seconds.